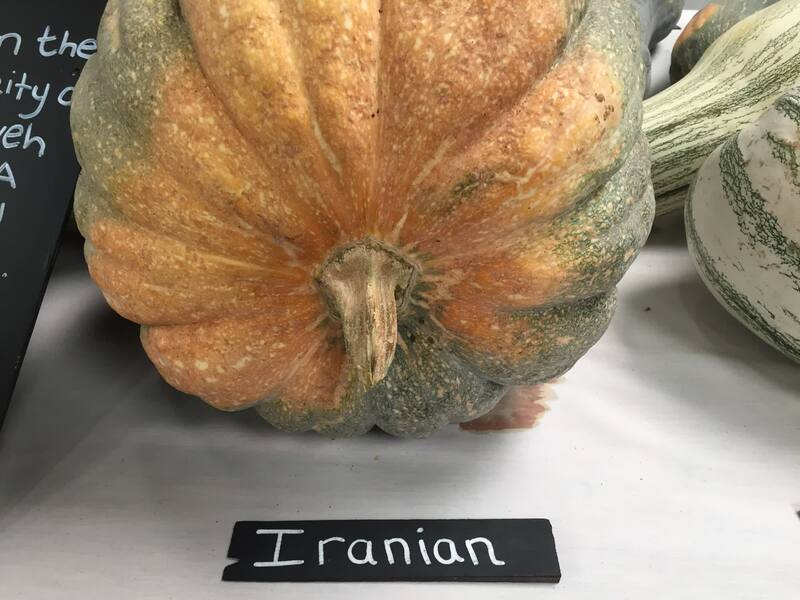 Collected in 1940 in the northeastern Iranian city of Torbat-e-Heydariyeh, and preserved at the USDA seed bank ever since. Not known to the public until a few years ago, when our friend Glenn Drowns introduced it. 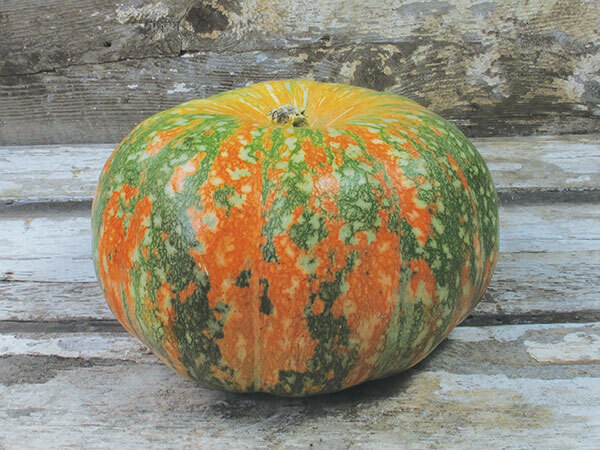 This squash is super ornamental, with its unique, foam-green rind that�s mottled in soft peachy orange. 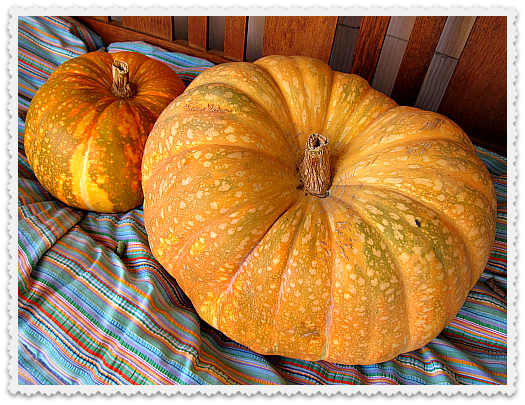 Round and slightly ribbed fruits are medium to large in size. 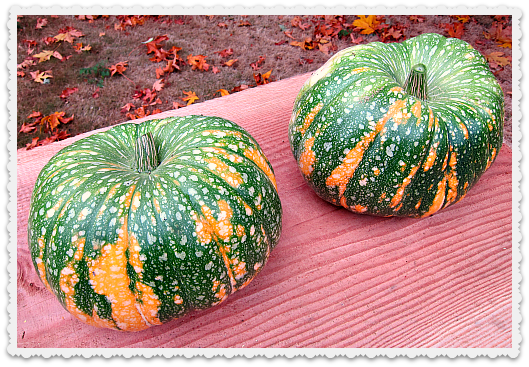 It keeps for a year or more, and is perfect for fall decorating. The seeds are great for roasting. 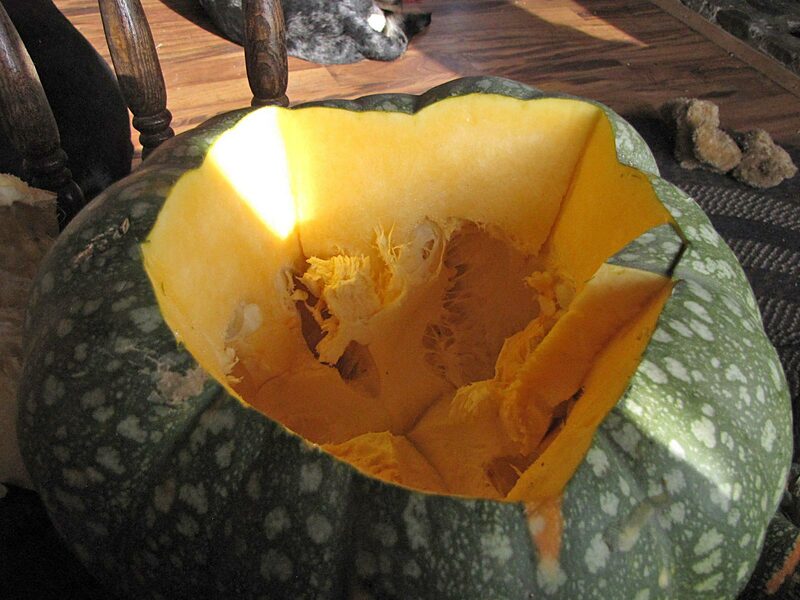 Buckhorn, Canada - Grows Well, flesh is really thick but dosen't have much of a pumpkin taste. 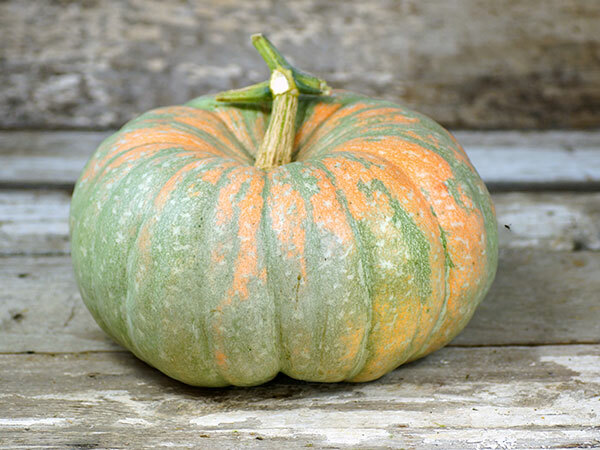 I found even with this long growing season it was slow to mature before first frost. 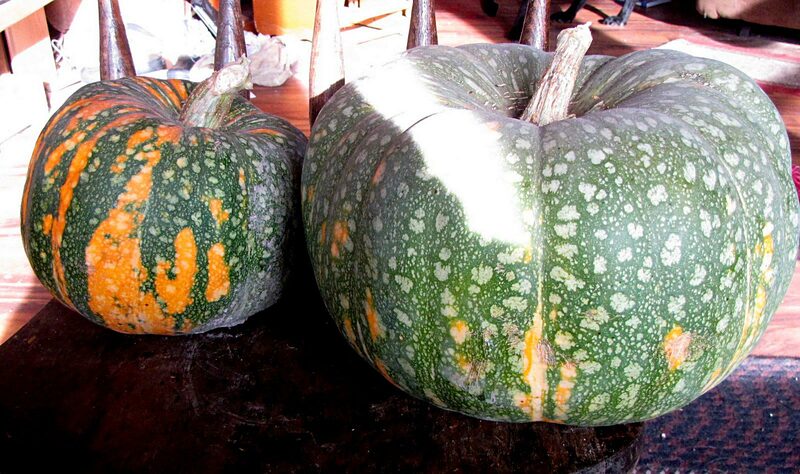 Arizona: Grows well, so-so taste, can be seasoned, lasted in storage 2 years. MO: Grows well. 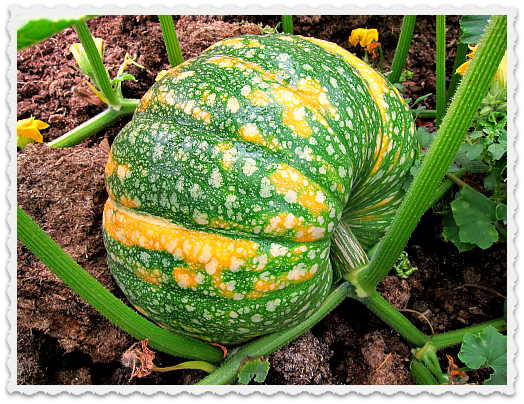 The largest squash maxed-out at 37.9lbs being harvested and cured in early July. CA: Grows well. Tastes plain.